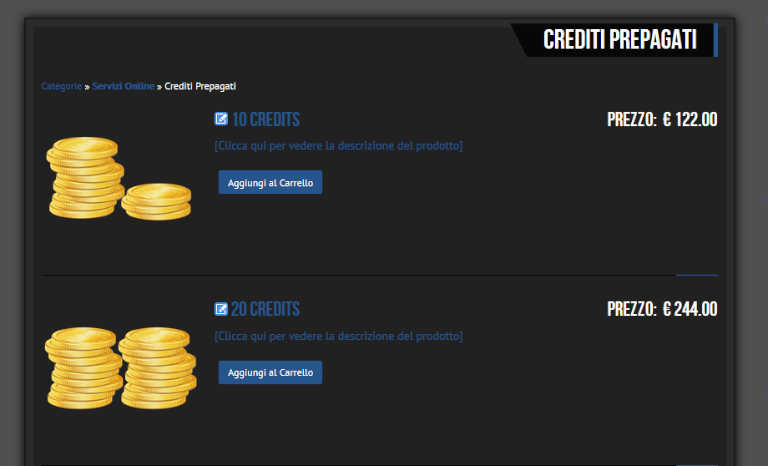 By clicking on this link you will be sent to the online webshop where you can buy prepaid credits with PayPal payment. These credits will allow you through the helpdesk portal to take advantage of paid services for solutions and control units that are not included in our software's. These credits will be decreased by Staff members based on the file service required on the helpdesk. Credits can only be purchased from users of our software that are registered on the helpdesk. Each single credit has the value of 10.00 euros (VAT excluded).